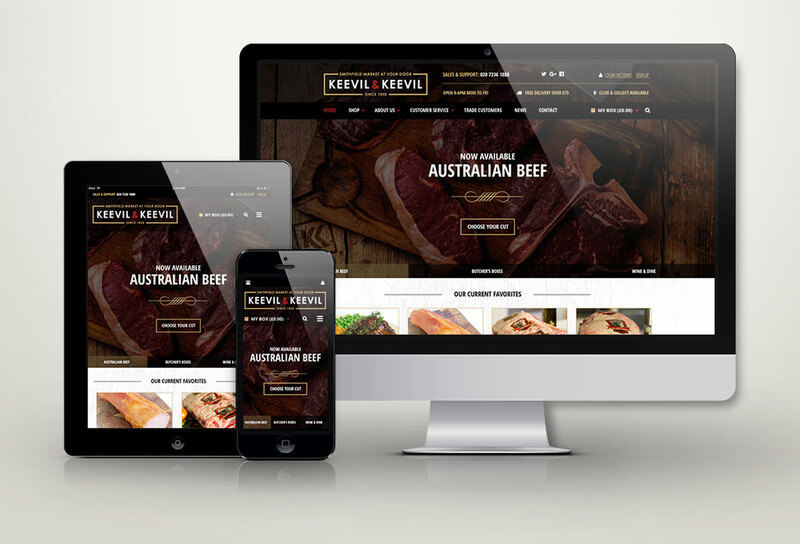 Keevil and Keevil is Smithfield’s longest established butcher. They welcome hundreds of traders, suppliers, restaurant buyers and the general public. All products are bought direct from the market’s finest meat suppliers ‘on the day’. So customers get the best meat on their plate when they want. 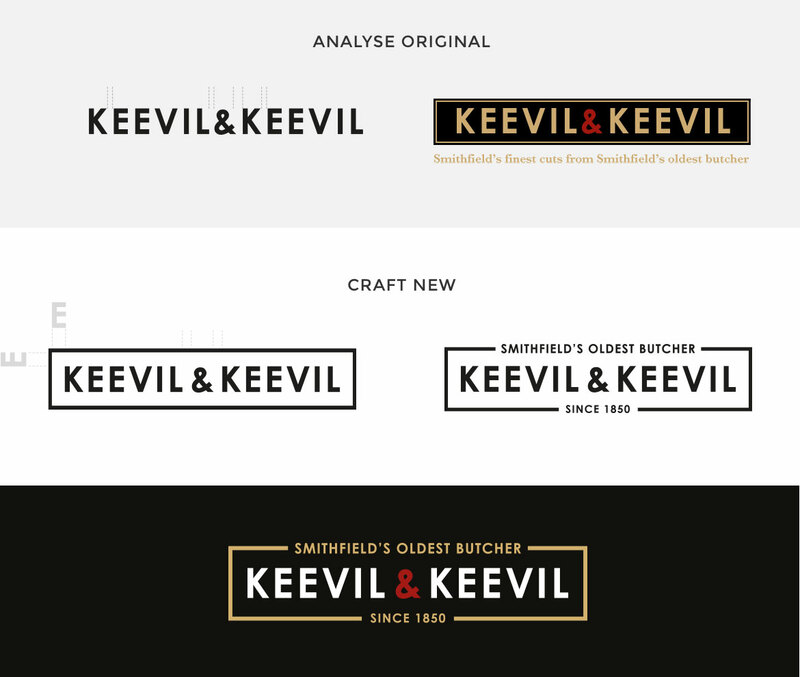 Keevil and Keevil asked us to help produce a review of their existing branding and website design, providing a solution that reflected their quality, care and personal service. The creative team at Chunky came up with a fantastic brand that portrayed their traditional roots, long heritage and authority with a modern feel. 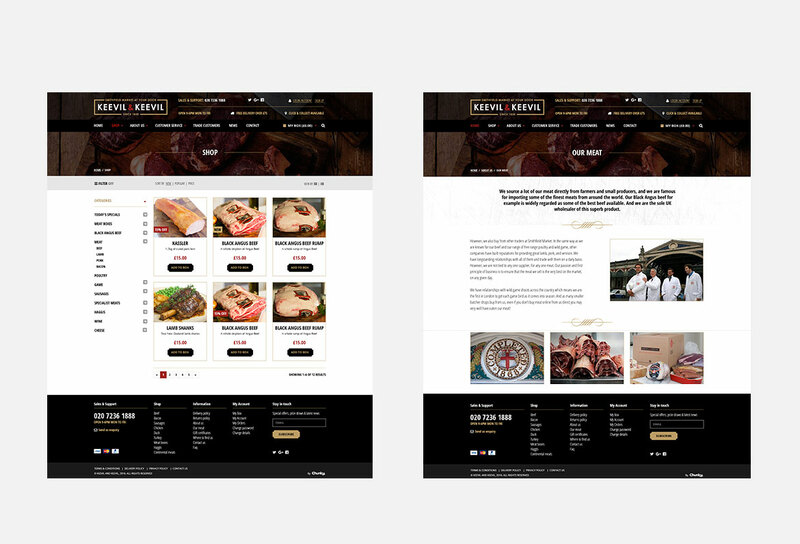 We produced a new website which accurately reflects them as a heritage business with ambitions to grow using the latest technologies. Prominence was to be given to the location of the business, online customer experience that matches the high quality of products sold, the ethics of the business and the skill and experience of the team. We are now focused on driving sales, and increasing revenues through our new partnership and look forward to working with Keevil and Keevil to achieve more great results for many years to come.